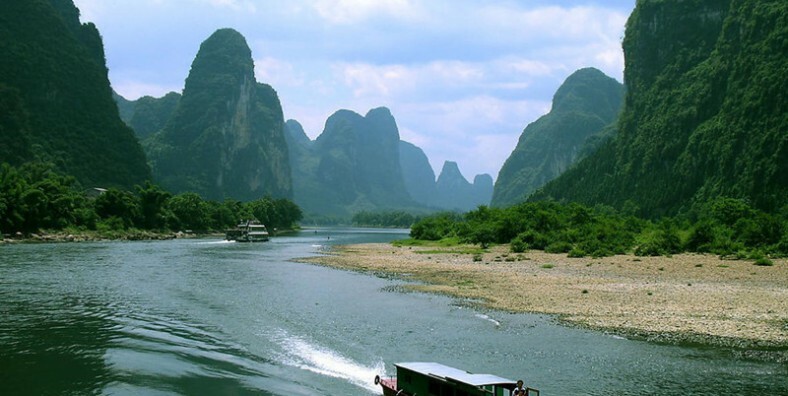 Guilin Li River Cruise is a wonderful experience to enjoy karst landscape in southern China. The landscape of Li River usually reputed as the symbol of the natural landscape in China. On comfortable cruise boat, travelers will marvel at the green mountains, strange caves, cormorant fishing scenes and tranquil villages. A visit to Guilin without Li River Cruise would not be complete. 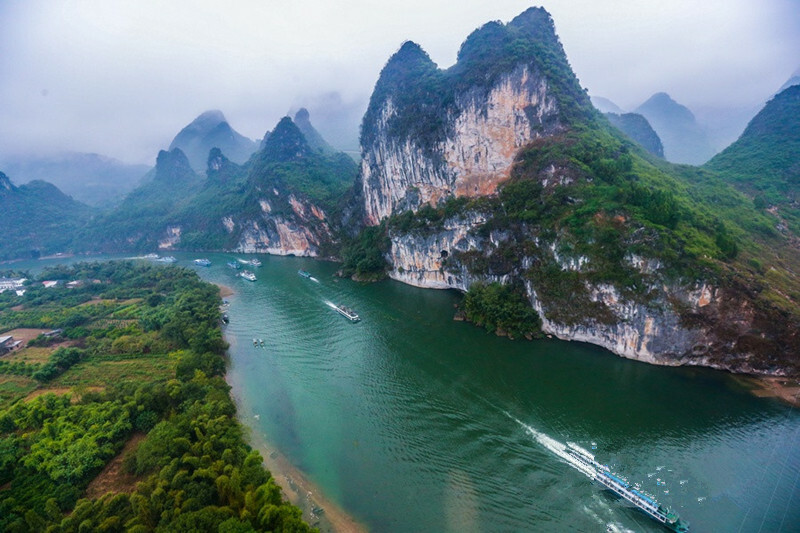 Enjoy picturesque scenery along the Li River with green hills and clear waters. Explore the ancient town – Yangsuo, especially the west street full of unique small shops. Your dirver will pick you up from your hotel and transfer you to Mopanshan Pier after all the group members are assembled. Take a Li River cruise to Yangsuo. On the twisty Li River to Yangshuo, it covers hundreds and thousands of grotesque peaks. You will have lunch on board. Then disembark at Yangsuo. Disembark at Yangshuo. Then explore the ancient town – Yangsuo. It has a history of over 1400 years. Walk around West Street to find a lot of unique shops selling traditional handcrafts, hand-made scarfs, snacks of local flavor etc. Transfer you to your hotel in Guilin. This is a mixed tour with both Chinese and foreigners, and the guide will speak both Chinese and English. 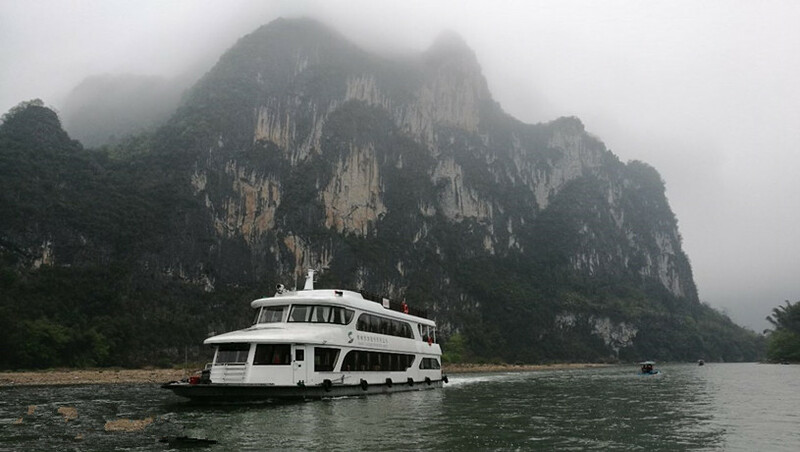 If you require a more specialized service, please join our private 1 Day Guilin Li River Cruise Tour.